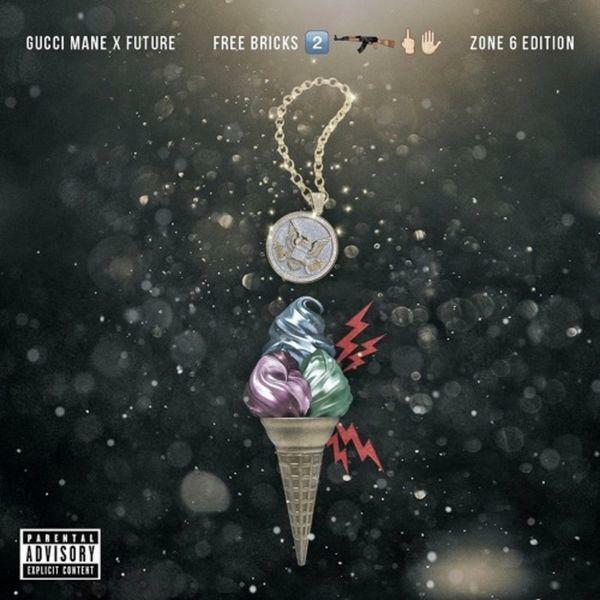 Download the joint mixtape from Gucci Mane and Future, "Free Bricks 2." Last night, Gucci Mane and Future surprised fans with the release of a joint mixtape, Free Bricks 2 (Zone 6 Edition). The collaborative effort didn't receive any promotion beforehand, thus making the release all the more exciting for fans of either ATL rapper. GuWop's been having some good days since his prison release, with two strong albums already behind him, and now an appearance on the #1 song in the country, Rae Sremmurd's "Black Beatles." Future isn't doing too poorly himself. The mixtape contains six records, with production handled by the mainstays: Metro Boomin, Southside and Zaytoven. Take a listen and/or download.